ABC Family’s Young & Hungry Blogger Challenges – Vote for Me! Hey everyone! Have you seen the previews for ABC Family’s new series coming June 25th called ‘Young & Hungry’? The show is based off of real life food blogger Gabi Moskowitz and it looks hilarious! I’ve been asked to participate in the Young and Hungry Blogger Challenge and I’m already having so much fun! The first one was to Tweet the best cooking advice we’ve been given. The second one went live yesterday and it was in honor of Father’s Day. We were asked to share a recipe that reminds of us of a dad who inspires us. 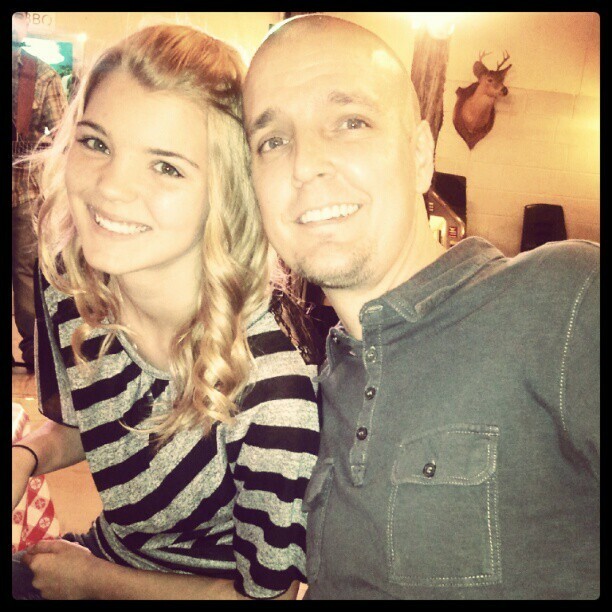 The dad I chose was my husband (love him!) and the recipe I chose was the one I actually made for him on Father’s Day: pulled pork lettuce wraps. My husband and I don’t eat bread and this has become one of our favorite recipes. It’s so simple and very filling. It cooks in the crock pot for 6 to 7 hours and the entire family loves it. I’ve posted the sandwich recipe here before. Here’s the video I shot really quick. Really quick…as you can tell. If you have a minute, vote for me! The next challenge is in a couple of days. I’ll post a reminder on Facebook and Twitter. Thank you! 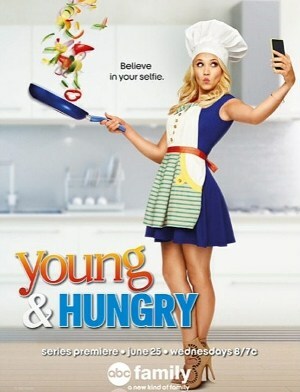 ‘Young & Hungry’ show description: In “Young & Hungry,” two worlds collide when Josh (Jonathan Sadowski Sadowski), a wealthy young tech entrepreneur, meets Gabi (Emily Osment), a feisty young food blogger, looking to be his personal chef. Gabi is desperate for the job and must prove herself, mostly to Josh’s aide ( Rex Lee), who prefers a famous chef for the job. When Josh enlists Gabi to prepare a romantic meal for him and his girlfriend, the dinner goes awry and Gabi finds herself in a very awkward position. With the help of her best friend Sofia (Aimee Carrero) and Josh’s housekeeper (Kym Whitley), Gabi turns a difficult situation into an opportunity for employment and maybe even love.